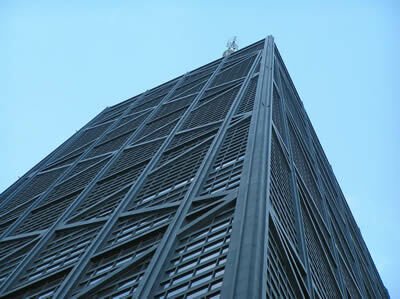 I've been asked to talk about the Marina City Gary Kimmel pimp-dentist scandal over the years, and usually say no. This time I said yes. So Gary Kimmel was finally sentenced to prison today. And Marina City's just fine without him. Here's a wrap-up of the pimp-dentist story in prose...and limerick. 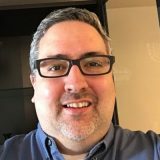 Today that, as many have long suspected would happen, Marina City's formerly alleged pimp dentist (and former board member), Gary Kimmel, pleaded guilty to charges of money laundering in connection with a national prostitution ring operated out of several of Kimmel's condo apartments. Kimmelgate has officially hit the fan, and score one for the blogosphere. 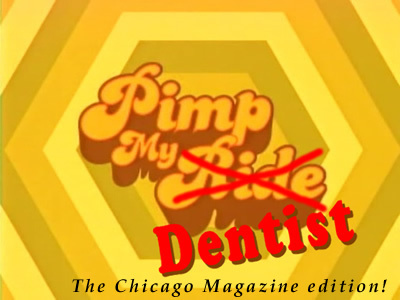 The October 2006 issue of Chicago Magazine, hitting newsstands now, features a lengthy, scathing profile of Marina City's alleged 'pimp dentist', Gary Kimmel--with several quotes from Yours Truly. 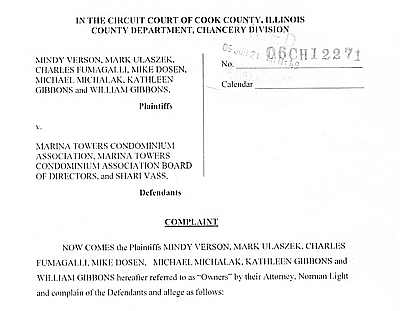 Much has been said about Gary Kimmel and his federal indictment on money-laundering charges for allegedly helping a national prostitution ring operate out of Marina City. An informed opinion is always a better opinion. So for the sake of fairness, here are links to the U.S.